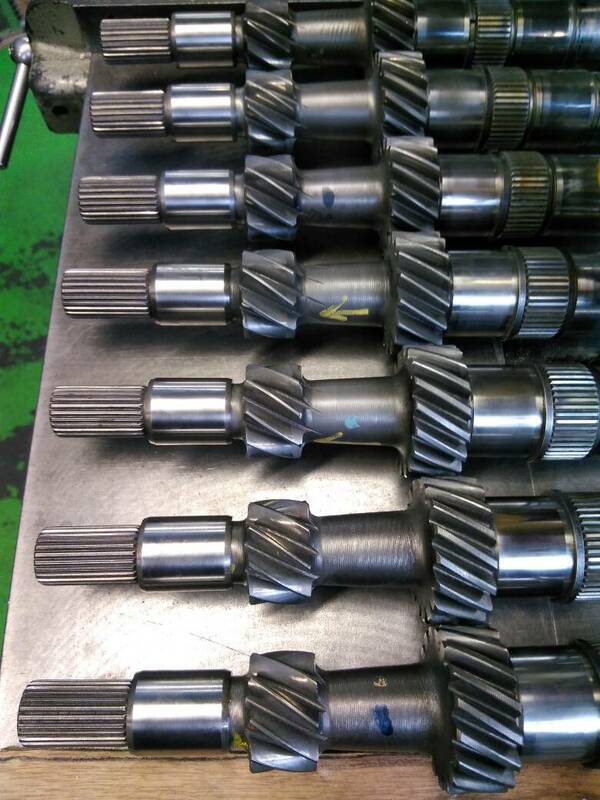 Halfway though repairing some syncro transaxle primary shafts for Aidan Talbot. They had all broken up on the first bearing track after the input shaft spline. All have been reduced by precision grinding and a new sleeve fitted, now waiting to have the sleeve reduced back to standard size. The input bearing is a bit over a fiver from VW and I always replace them that way I know they are clean and can't damage the shaft and anyway the poor little bearing has a hard time always under load at engine revs so why wouldn't you fit a new one every time ?